If you are an enthusiast photographer who loves to shoot good photos through point-and-shoot cameras or your smartphone cameras and actually are good at it, then chances are that there would be a certain time in your photography growth. In that certain period of time, you would no longer be satisfied with your photos. The reason would be the limitations of your point-and-shoot camera or your smartphone camera. You would feel like there’s something missing from what you want and what you are getting. At this point, you should not waste a moment and get your hand on an entry-level DSLR camera as it would take your photography to the next level. 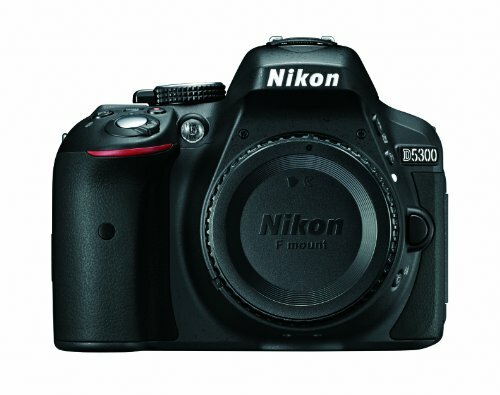 Nikon calls the D5300 as a Hybrid DSLR or HDSLR. A HDSLR is capable of recording incredible videos with better voice and video quality. 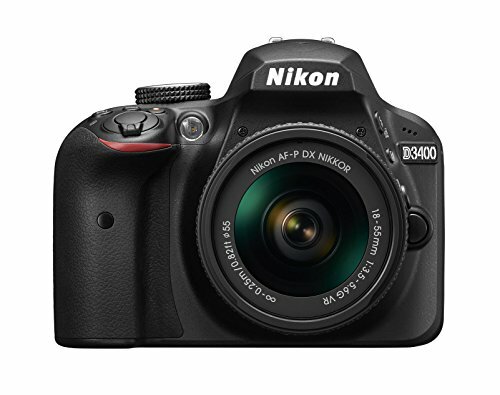 The D5300 is an excellent entry-level DSLR featuring 24.2MP DX format CMOS sensor with an amazing 39-point autofocus system including 9 cross-types. The ISO range varies between 100 to 12800 and is further expandable to 25600. The D5300 offers a better burst shooting range of 5 frames per second which is reasonable considering the fact that the D5300 is an entry-level DSLR and that too under a price range of just $500. A Full-HD video recording of 1080p at 60/50/30/25/24p can be recorded through this entry-level DSLR. The built-in Wi-Fi allows the user to transmit the data wirelessly without any hassle and the 3.2-inches wide LCD is fully articulated allowing the user to take self-portraits or images in crowded places. The LCD however is not touch-enabled but contains an exciting amount of 1,036,800 dots on it. The battery timing is also pretty decent and will give you around 600 shots on a single charge. 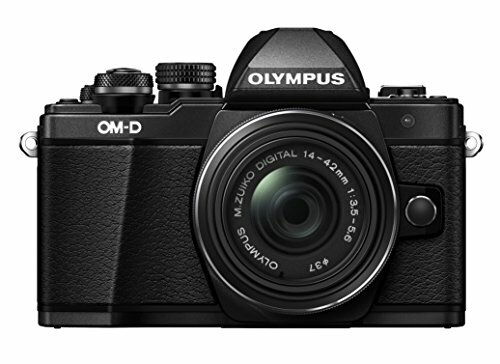 The OM-D E-M10 II is a Micro Four Thirds mirrorless camera produced by Olympus. It is an excellent camera under the budget of $500 as it boasts a 16MP Four Thirds Live MOS sensor powered by TruePic VII processor which is responsible for faster processing time and deeper colors in images and videos. The ISO range of the E-M10 II is ranges between 100 to 25600 which is pretty decent considering the price of this camera. It offers an exciting amount of continuous shooting at the rate of 8.5 frames per second and has a 5-axis image stabilization allowing you to take better images and videos. Talking about the video, the OM-D E-M10 II allows you to record Full-HD video recording of 1080 at 60/30/24p with additional 4K time-lapse. The touch-enabled LCD is 3-inches wide with 1,040,000 dots and is tiltable allowing you to take images and record videos in different situations. On the other hand, the electronic viewfinder is also pretty good and comfortable while using. There is built-in Wi-Fi for easy connectivity and the battery will give you more than 700 shots on a single charge. The burst shooting mode allows 5 frames per second and the built-in sensor shift image stabilization makes sure that the images and videos are free from all kind of fuzziness. The video recording capabilities are also pretty modest and allow you to record videos at Full-HD resolution of 1080p at 60i/50i/30p/25p/24p. The electronic viewfinder is pretty satisfying and gives a magnification of up to 0.88x. On the other hand, the LCD is substantially smaller as compared to the competitors as it measures 2.7-inches and is not touch-enabled either. It is however tiltable and you can take shots in different positions with this 460,800 dotted screen. Battery life is average and you can capture around 500 shots with a single charge. Moreover, there is no Bluetooth, NFC or Wi-Fi and you have to go old-school to transfer your data. 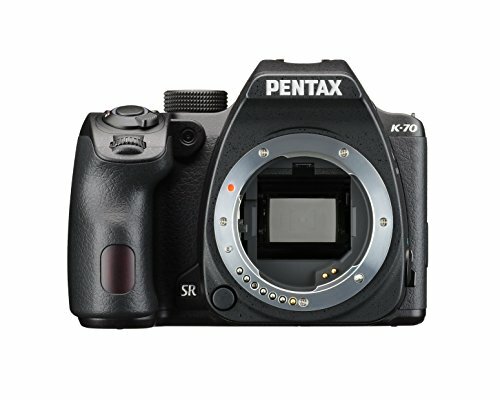 Another Japanese company in the line-up is Pentax with their K70. The K70 exhibits an excellent 24MP APS-C sensor with 11-points autofocus system alongside 9 cross-types. The K70’s ISO settings are 100-102400 but the luminance noise factor is higher in this entry-level DSLR as compared to the competing cameras. The burst shooting mode allows 6 frames per second which will surely gain you an entry in any sporting event. There is a sensor shift image stabilization in the K70 allowing more control over images and videos. Talking about the videos, there is no 4K and the highest format is the Full-HD video of 1080p at 60i/50i/30p/25p/24p. The electronic viewfinder is also similar to any other competing DSLR with a pentaprism, 100% scene coverage and 0.95x magnification. The LCD is 3-inches wide with 921,000 dots and is fully articulated. It is however not touch-enabled. The Wi-Fi is pre-built into the K70 but there is no NFC and Bluetooth. The battery life is disappointing as you can only capture 400 shots with a full charge at once. An amazing amount of burst shoot is available in the A6000 as you can take 11 frames per second when shooting in continuous mode. The videographers would also find this camera interesting as it offers Full-HD resolution of 1080p at 60p/60i/24p. The OLED viewfinder gives a magnification of 0.70x and gives a complete 100% coverage of the scene. The LCD on the other hand is also pretty nice as it is tiltable and is 3-inches wide with 921,600. It is however not touch-enabled and you have to use the navigation keys to scroll between the settings. 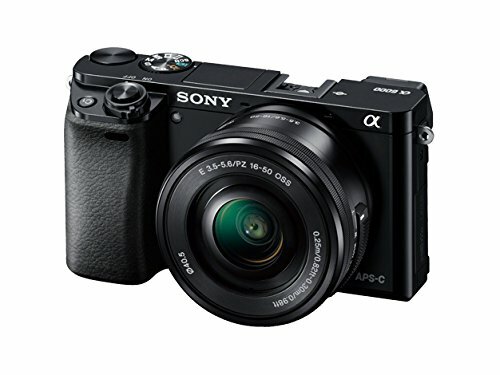 Wi-Fi and NFC are pre-built into the A6000 but there is no Bluetooth. The battery timing is pretty terrible as you can only get around 350 shots per charge. 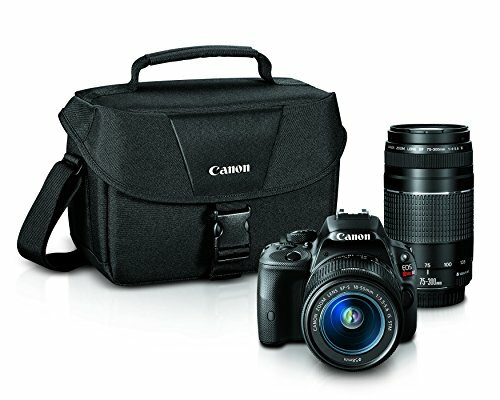 The SL1 is yet another entry-level DSLR from Canon’s Rebel series which is targeted towards amateur photographers. 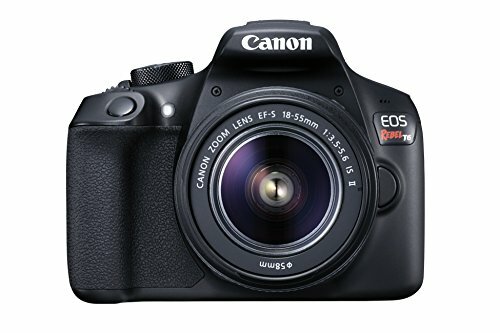 The Canon Rebel S1 (EOS 100D) boasts a 18MP APS-C CMOS sensor with t 9-point autofocus system. ISO settings are 100 to 12800 which could also be boosted up to 25600. If you like to shoot fast moving objects than you can make use of the 4 frames per second continuous shooting of this entry-level DSLR. In terms of video, it performs quite well at Full-HD resolution of 1080p with 30/25/24p. The viewfinder and LCD are also pretty decent. The viewfinder will give you a magnification of up to 0.87x and a scene coverage of 95%. LCD, on the other hand, contains 1,040,000 dots and is 3-inches wide. The LCD is fixed but is touch-enabled allowing you to navigate through on-screen options easily. There is no Wi-Fi, Bluetooth, and NFC for connectivity but you could add an external Eye-Fi Mobi card to transfer pictures and videos directly to your phone. The battery life is below average as it offers only 380 shots per single charge. 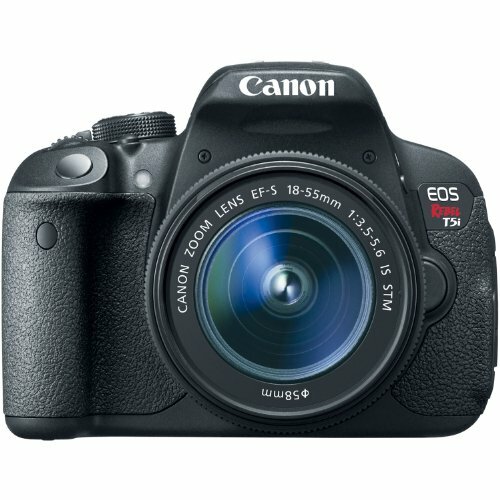 Canon, hitting the list again with their Rebel series’ T5i which is yet another brilliant DSLR which can be purchased under a budget of $500. The T5i has a 19MP APS-C CMOS sensor which has an autofocus system of 9-points. The ISO range of the Rebel T5i is up to 25600 and the DSLR can easily capture fast moving objects thanks to the continuous drive of 5 frames per second. It isn’t very good but considering the price range, you can get some pretty wonderful shots. Talking about the video, the Rebel T5i can shoot Full-HD video of 1080p at 30/25/24p. The optical viewfinder gives coverage of 95% and has a magnification of up to 0.85x. The LCD or the monitor is fully articulated and is 3-inches wide containing 1,040,000 due to which the display is crispier and vivid. It is also touch-enabled so that the navigation among the options becomes easier for the user. The Wi-Fi is pre-built in for easier connections but the NFC and Bluetooth remain missing. The battery life is above average as you can get around 450 shots after a single charge. 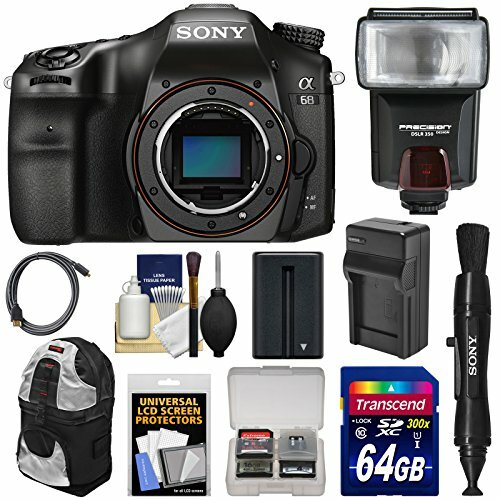 Last up in the list of economical DSLRs which can be purchased under $500 is the Sony’s SLT-A58 which boasts a wonderful 20MP CMOS sensor. It has 15 focus points and an ISO range of 25600. 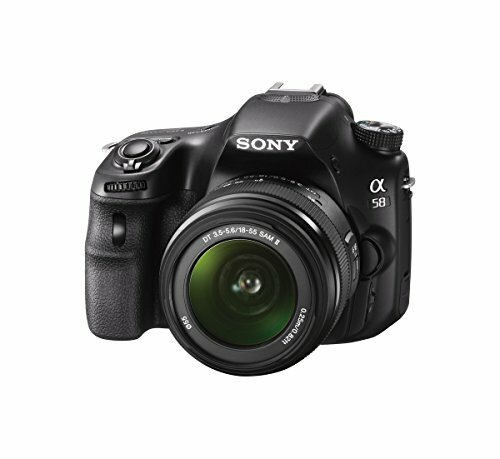 The continuous drive offers 5 frames per second allowing you to capture the best shot. The videographers will get a Full-HD video of 1080p resolution at 50i/25p. The viewfinder is not an optical one; instead, it’s an electronic viewfinder offering a 100% coverage of the scene. The LCD is a bit smaller than usual as it measures at 2.7-inches and contains 460,000 dots on it. It is fully articulated but is not touch-enabled. The A58 has Wi-Fi for easier connectivity and the batter can give you 700 shots after a single charge. DSLRs could be very interesting and could pave the way for you to become experienced and professional photographers. To understand the true extent of digital photography, one must get their hands on an entry-level DSLR like the ones described above. Canon’s Rebell T6, Rebel SL1 and Olympus OM-D E-M10 II might prove themselves as the perfect companion for our beginners. The A6000 and the SLT-A68 from Sony’s Alpha line-up are also very interesting particularly for those who love macro photography. Nikon’s D5300 and Pentax K70 should be considered as well as they are equipped with some pretty decent and easy-to-use features.